More than 30 million people in the U.S. have one or more migraine headaches per year, according to “Migraine in the United States: epidemiology and patterns of health care use,” published in a March, 26 2002, issue of Neurology. Approximately 75 percent of all migraine patients are women. Currently, 1 in 6 American women has migraine headaches. Migraines usually begin within the first three decades of one’s life. Migraine headaches can vary considerably in severity, time of day, and characteristics. They can be debilitating for some people. These headaches usually last from four to 72 hours and are usually unilateral, pulsatile in quality, aggravated by physical activity or bright lights, and can be associated with nausea and vomiting. Visual symptoms might precede the headache and are known as “auras.” An aura develops gradually over five minutes, and usually the headache begins with the aura or within 60 minutes after the aura. Auras might involve visual, language, sensory or motor deficits. Visual auras are the most common and might appear as flashes of light, blind spots or complex shapes that build or move across the visual field. Migraine treatment involves acute (abortive) and preventive (prophylactic) therapy. Patients with frequent attacks usually require both. Acute treatment aims to reverse, or at least stop, the progression of a headache that has started. Non-steroidal anti-inflammatory drugs (NSAIDs) include ibuprofen, naproxen and aspirin. 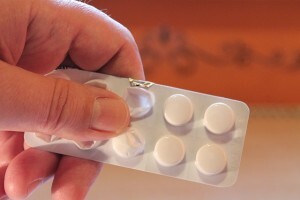 Aspirin is combined with acetaminophen (an analgesic) and caffeine in Excedrin Migraine. NSAIDs are the first-line choice to treat acute mild to moderate migraine attacks. “Migraine specific” treatments, commonly called the “triptans,” include sumatriptan succinate, which is known by the brand name Imitrex. The triptans are effective for the acute treatment of moderate to severe migraines. Other medications used to treat acute migraines but are not considered first-line therapy, nor are they effective at relieving the migraine pain and associated symptoms, include drugs in the opioid (narcotics) family such as oxycodone, hydrocodone, codeine and many others. These have a lot of potential for abuse and addiction and are not approved by the Food and Drug Administration for the treatment of migraines. Preventive treatment, which is given even in the absence of a headache, aims to reduce the frequency and severity of migraines, and make acute attacks more responsive to abortive therapy. These medications include propranolol, verapamil, amitriptyline and topiramate, which are not considered addictive and should be used daily to prevent migraines. Frequent use of opiates, triptans, NSAIDs and other forms of analgesics can put patients at risk for medication-overuse or rebound headaches. Of note, these rebound headaches do not occur when taking the preventive medications. Rebound headaches usually are characterized by a decrease in severity after taking one of these medications, but then the headache returns within 2 to 4 hours with the previous severity or will worsen further. For this purpose, it is recommended to limit the use of migraine medications to no more than 2 to 3 headaches per week. Medication overuse and rebound headaches can become a vicious cycle. As with all medical conditions that cause physical pain, people with migraines commonly become addicted to pain medications, known as narcotics or opioids, which often results in a bigger dilemma than the migraine itself. Treating migraines with narcotics is a double-edged sword. Although the ultimate goal is to treat the physical pain, becoming “hooked” on pain meds can lead to a road of addiction. According to a Huffington Post article, “A Migraine Mistake: Millions Prescribed Addictive Painkiller for Headaches,” an estimated 1 in 5 migraine patients is prescribed opioids, also known as narcotics, such as OxyContin, Vicodin and Percocet, and barbiturates such as Fioricet; almost 20 percent of the opioids prescribed in the U.S. are dispensed to relieve the migraine pain. “For every patient who truly needs narcotics for migraines, there are about 100 who are getting them,” estimates Stephen D. Silberstein, M.D., director of the Jefferson Headache Center in Philadelphia. To help avoid addiction, treatment should also include reducing migraine “triggers” and using non-pharmacologic therapies to treat migraines. Migraine patients are more at risk for depression and, therefore, mental wellness should also be taken into account when treating these patients. Biofeedback, cognitive behavioral therapy, acupuncture and relaxation therapies, such as yoga, are frequently effective against migraine headaches and can be used adjunctively with pharmacologic treatments. Botox, which are botulinum toxin injections, have recently been approved by the FDA for prevention of migraine headaches. The mechanism of botox therapy for migraines is thought to result from the blocking of sensory nerves in the head, not through paralysis of muscles in the head, according to “Botulinum Toxin A for Prophylactic Treatment of Migraine and Tension Headaches in Adults: A Meta-analysis,” published in the April 25, 2012, issue of The Journal of the American Medical Association. In 2013, the FDA approved the Cerena Transcranial Magnetic Stimulator (Cerena TMS), the first device to relieve migraine pain with aura, for use in patients aged 18 years and older, according to a report titled “FDA approves first device to treat migraine pain,” published on Dec. 13, 2013, in Medscape Medical News. Users hold the device with both hands to the back of the head and press a button to release a pulse of magnetic energy that stimulates the occipital cortex. The recommended daily usage of the device is not to exceed one treatment in 24 hours. If you have migraine headaches, ask your doctor about alternative and non-narcotic treatments, such as NSAIDs and triptans. If your doctor tries to prescribe a narcotic for your migraines, question it. Take a step back and think about whether you want to risk the chance of narcotic addiction. Keep in mind all of the other types of medications, and non-pharmacological treatments that can be used for the treatment of migraines. What types of alternative treatments have you found to be helpful for migraines?